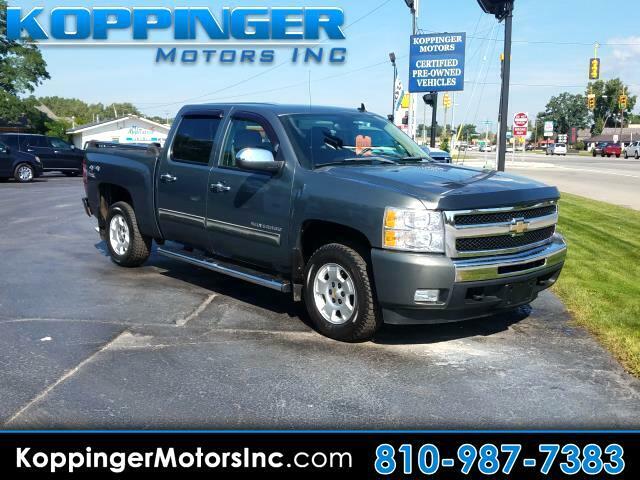 Used 2011 Chevrolet Silverado 1500 4WD Crew Cab 143.5" LT for Sale in Fort Gratiot MI 48059 Koppinger Motors Inc.
Why compromise between fun and function when you can have it all in this 2011 Chevrolet Silverado 1500? This Silverado 1500 has 30499 miles. This Silverado 1500 has so many convenience features such as: 4WD,side steps,power seats,power windows,power locks,blue tooth and mp3 audio input Buy with confidence knowing you're getting the best price and the best service. The open road is calling! Drive it home today.